ICELAND. 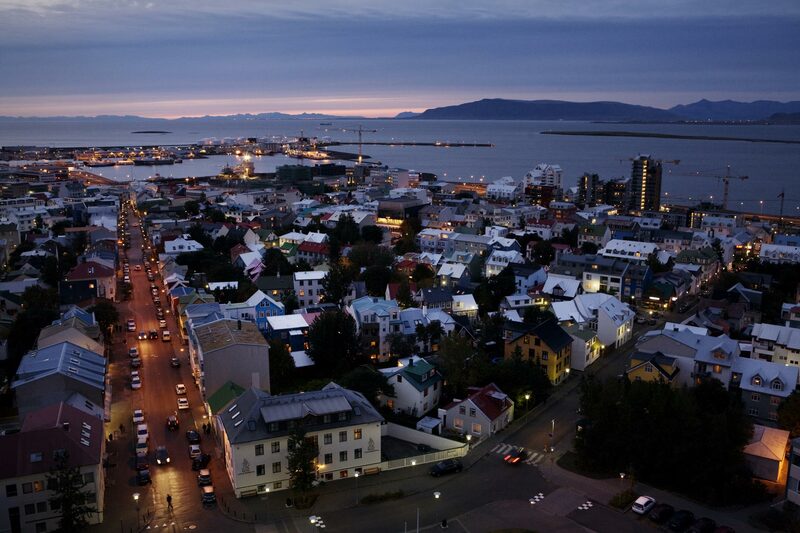 Reykjavik. 2007. Overviews of central Reykjavik, as seen from the clocktower of Hallgrímskirkja, with Faxaflói bay in the background.